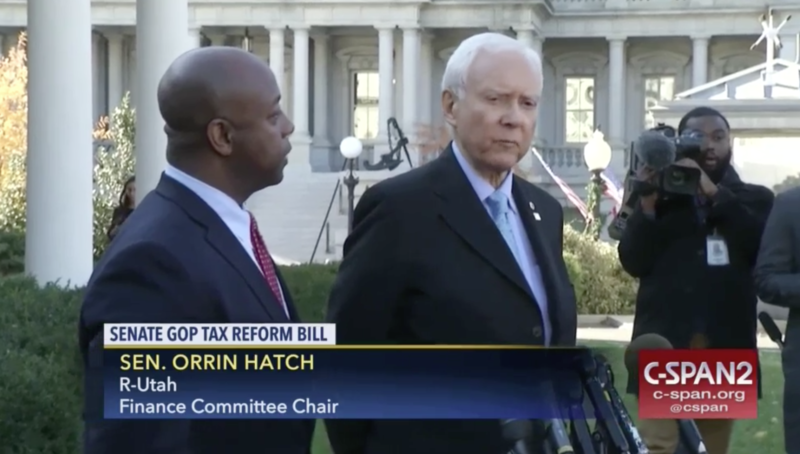 Sen. Orrin Hatch, R-Utah, at the White House on Monday talking about a tax overhaul bill. 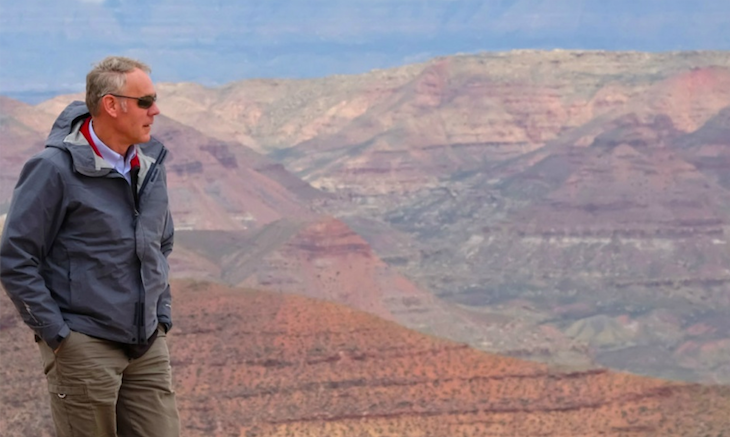 Hatch issued a statement Tuesday welcoming Trump to Utah, where the president is expected next week to shrink to national monuments in Utah. Utahns are getting ready for President Donald Trump to visit Salt Lake City. The stopover is expected on Monday. It’s an event that’s been rumored for weeks, with opponents of the Bears Ears and Grand Staircase Escalante national monuments saying that Trump would shrink the monuments during a visit to Utah. Hatch has been working with the president on a tax overhaul which the Senate’s expected to vote on this week. Meanwhile, monument supporters have been planning their own rally at the State Capitol this weekend. 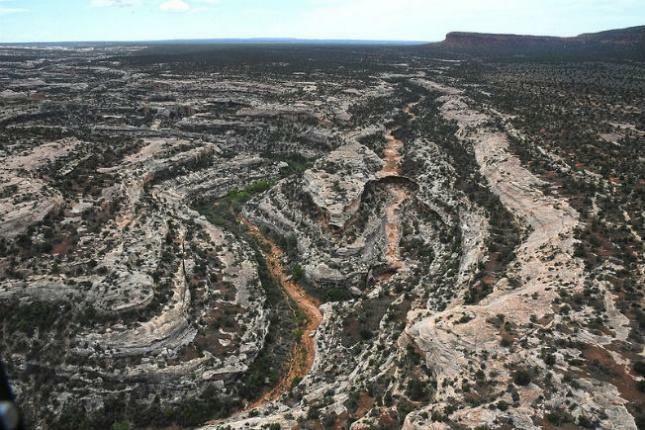 Environmental groups and Native Americans want the Utah monuments to stay intact. A dozen environmental and Native American groups are behind the pro-monument rally. Thousands have RSVP’d for the event on Facebook. Republicans and Democrats began wrangling over national monuments Wednesday in the form of a bill by Rep. Rob Bishop, R-Utah. New information emerged over the weekend on the advice Interior Secretary Ryan Zinke is giving president Donald Trump on two national monuments in Utah. Restaurateur Blake Spalding, like many other national monument supporters, has been urging visitors to her Hell’s Backbone Grill in Boulder, Utah, to share their thoughts about possible changes the Trump administration is pondering for national monuments. The review of 27 monuments includes the Grand Staircase Escalante National Monument nearby. Jonathan Till was examining some new donations - a basket, a ladle, a flute and clay pots - back when I met him last year.